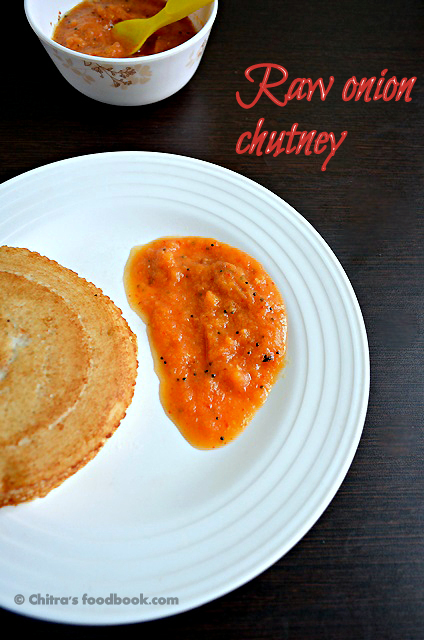 nothing can beat this spicy n yummy chutney, love it with idlis...looks too tempting chitra!! 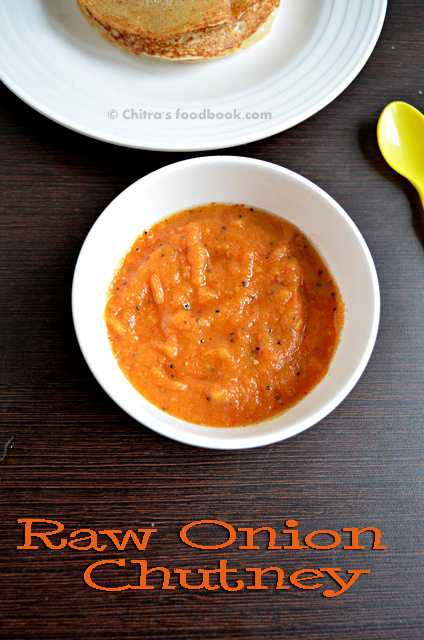 i make it very spicy for dosa,perfect quick fix . It's been a long time I has raw onion chutney..looks yum! Love the colour of the chutney !! Can have two more idlies with this chutney,my all time favourite.